Holistic healing aims to identify the root cause, or causes, of an imbalance (whether it is physical pain, stress, poor sleep, etc.). As a result, a patient feels completely considered and cared for, a benefit missing from many modern medicine practices. Instead of solely seeking to resolve symptoms, practitioners will ask the patient to both discuss and consider how not only their physical body relates to this imbalance, but also how their psychosocial, spiritual, and mental states contribute. And to help the body shift towards a healthier balance, a practitioner may guide the patient in processes such as emotional recognition and release, dietary modification, spiritual connection, and more. Not only will the patient be making improvements towards their original imbalance, but also in many realms of their life. 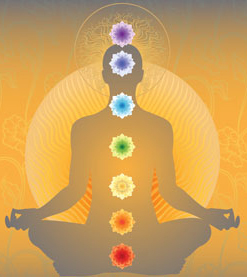 Holistic medicine is the art and science of healing that addresses the whole person – body, mind, and spirit. The practice of holistic medicine integrates conventional and alternative therapies to prevent and treat disease, and most importantly, to promote optimal health. What is a holistic consultant? Holistic health consultants provide information and education to people seeking alternative forms of healing and treatment. Ideally, a holistic health consultant has a broad understanding of a variety of natural health disciplines and may recommend a specific approach of alternative healing to a client. A holistic health consultant is a professional who has extensive knowledge about natural health, herbs, vitamins, minerals, and nutrition. They may also be familiar with additional areas of practice, such as acupuncture or massage therapy, although the consultant may not holistic health consultants are typically knowledgeable about ethics and legal issues in health care and what natural means of healing may be accepted or rejected by an individual’s traditional practitioners. To help you with Supplements, herbs, diet, spiritual direction, natural preventatives, and alternatives to medications. Please call 216-623-7053 to register, seating is limited. Come learn about healing energies and take a gift box home! A small kit to help you get started with healing energy. If you are experiencing depression or anxiety please come. It’s my 2nd program, In the Living Well series! How stress affects the mind and body. What you can do to cope and alleviate the stress at home and the workplace. It’s my very 1st program, Hope to see you there! Many of you have heard of Reiki but may not know what it is really all about. Here is a link I shared on my FB Reiki page from The International Center for Reiki Training. I have completed my Reiki training! Now I need to practice. If you would like a FREE distant healing please message me and I will respond within 24 hours. For those living in the area I am offering FREE Reiki treatments. Please also contact me if you are interested in receiving one. I am so glad and grateful that I pursued this path. I completely enjoy helping people find the best within themselves. It is so rewarding. It also keeps me motivate to continue my own path. Thank you for allowing me in. I look forward to helping anyone else who reaches out for it. For that is the hardest step.